In an unlikely union of two of the most loathed subcultures in America, Rolling Stone reports on an afterhours networking group called Dead aHead, in which Wall Street Deadheads come together and unite in their mutual love for the Grateful Dead and...money, I guess. Given Grateful Dead fans’s politically progressive nature in general—such as basing an entire parking-lot economy on the barter system—one naturally wonders how non-Wall Street Deadheads feel about Dead aHead. Solomon says it’s all love: “We’re all doing this together. We’re really being accepted in the Wall Street community, and we’re also being accepted in the Grateful Dead community. It’s all coming together in that respect.” Nothing says organic community like a “hand-curated” group of finance professionals, I guess! 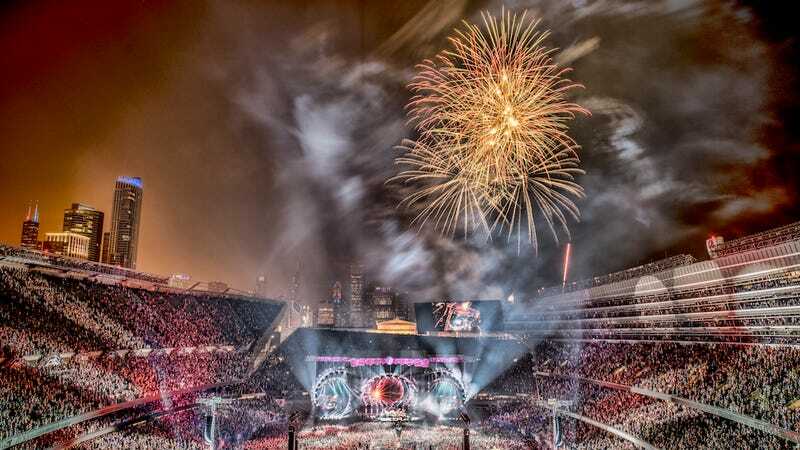 Grateful Dead’s Fare Thee Well show, July 2015, Chicago, via AP.